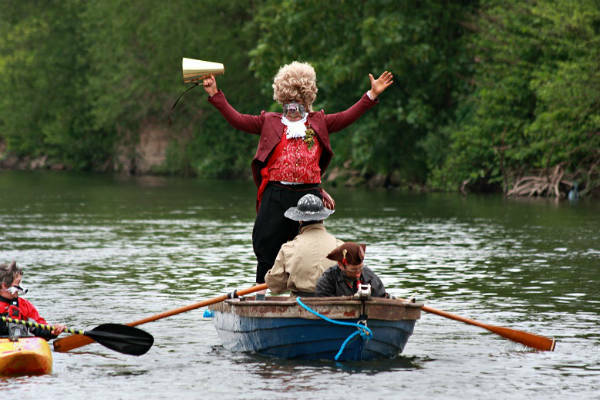 The first ever WVRF in 2014, for which we were Artistic Directors, attracted a total audience of 18,500 and gave a boost of at least £400,000 to the local economy. You can read more about it on the WVRF page. 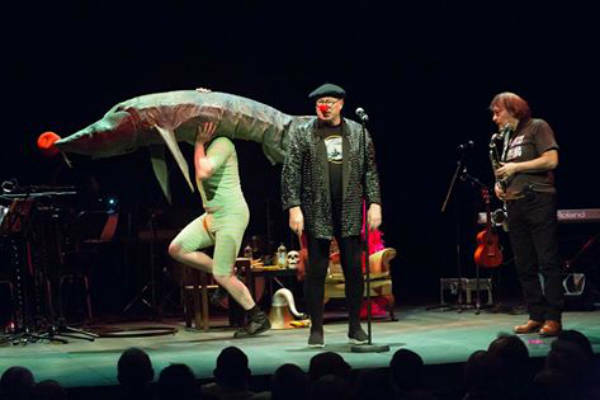 Following our stellar performance at Bristol Slapstick Festival’s ‘Ginger Geezer’, a tribute to Viv Stanshall (see fishy image above), we have been invited to disrupt proceedings again at a one-night-only 50th anniversary Bonzo Dog hooley at KOKO in Camden (previously the Camden Palace). We’ll be performing excerpts from our DADA-inspired show Slapstick & Slaughter during the show, which will also feature The Rutles, The Bill Kerr Whoopee Band and other surprise guests. The show takes place on Friday, April 17th and you can purchase tickets here.